Do not follow me if I do not follow……. 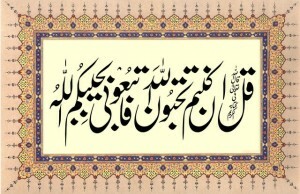 So long as I follow our pious predecessors, follow me; and if I do not follow our pious predecessors, do not follow me. This entry was posted in A. Reality of Tasawwuf, D. Acts of Worship, Q. Akabir on January 30, 2009 by 'abd.